Wandsworth Houses, Aldis Street, London, SW17 0RZ. 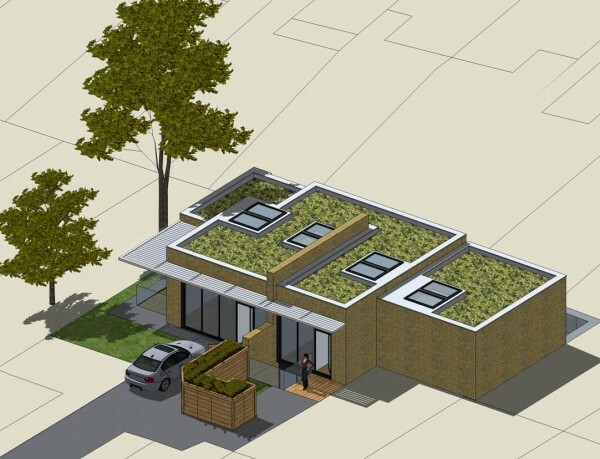 4D Studio architect and interior designer have won full planning permission for two more contemporary modern houses in Wandsworth, London, 4D Studio’s architects are moving forward with a programme that will have these low energy homes completed by the early part 2016. BIM (Building Information Modelling) tender and technical packages have been prepared by our design team using the latest version of Revit building design software. These two stunning new modern houses are on a site in Wandsworth that is surrounded by two storey houses and currently contains two garage buildings. The new houses will be accessed via a gated entrance under a first floor archway. 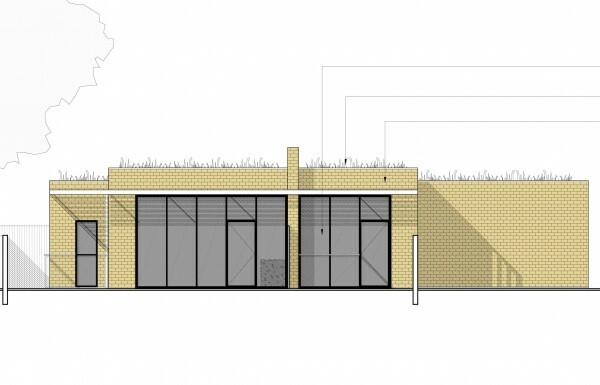 The existing garages will be demolished and replaced with two modern three bedroom houses constructed in London stock bricks with dark grey aluminium framed windows. The houses will have their living rooms and kitchens at ground level and each will have three bedrooms at basement level. Access to the site is from the existing crossover in Aldis Street from which a drive leads via a ground floor arch beneath 9 Aldis Street into the land at the rear of the houses fronting Aldis Street. There are two storey houses to front and rear of the site and the site is bounded by domestic gardens. The dwellings are set back from the boundaries sufficiently to allow for generous windows to all living rooms of windows and acceptable distance between the new dwellings and adjoining properties. Windows will be high performance sealed double glazed units with clear low emissivity glazing and thermally broken combination frames comprising dark grey polyester powder coated aluminium externally and timber internally. They will be high performance sealed double glazed units with clear low emissivity glazing and thermally broken combination frames comprising dark grey polyester powder coated aluminium externally and timber internally. The dwellings will be contemporary modern in style with external walls comprising a combination of London stock brick and white render. Windows will be high performance sealed double glazed units with clear low emissivity glazing and thermally broken combination frames comprising dark grey polyester powder coated aluminium externally and timber internally. Access to the site is from the existing crossover in Aldis Street from which a drive leads via a ground floor arch beneath 9 Aldis Street into the land at the rear of the houses fronting Aldis Street. 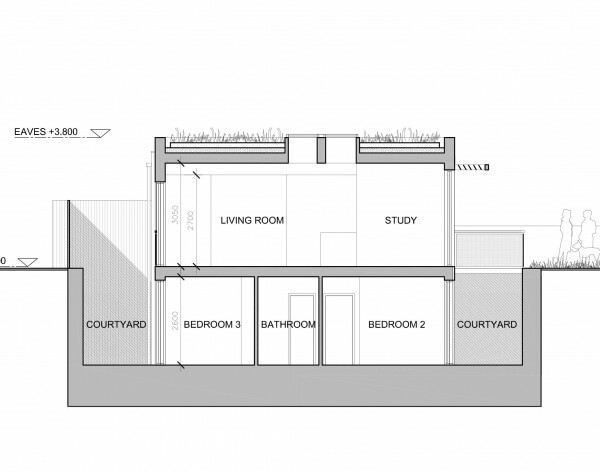 There are two storey houses to front and rear of the site and the site is bounded by domestic gardens. 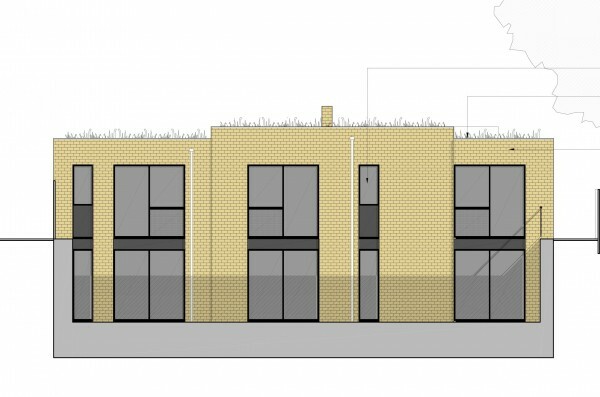 The two existing garages that stand 2.3m high and one out-building are being replaced with two new residential dwellings each with three bedrooms comprising ground and basement accommodation. Two, three bedroom 5 person houses laid out over ground and basement. One house will be 109.8 sq m and House 2 will be 102.65 sq m. The overall height will be approx 6.3 m with 3.5m above existing ground level. The dwellings are set back from the boundaries sufficiently to allow for generous windows to all living rooms of windows and acceptable distance between the new dwellings and adjoining properties.